LP (OP)	Earth Media. No number. Gatefold. 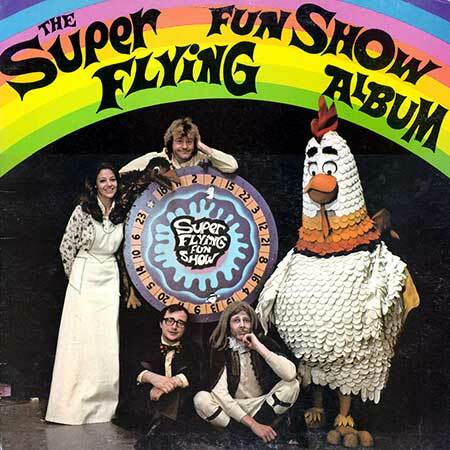 “THE SUPER FLYING FUN SHOW ALBUM”. Starring: Miss Marilyn, Marty and Emu, Wing Ding, Smokey Dawson, Shakespeare, and Mortimer. Produced by The Earth Media Record Co. Executive Producer: Jim Badger. Sound Engineer: Ross Kirkland. Music Coordinators: Warren Targett and Norm Day. (J. Shortis - B. Simmons). (Alberts). (W. Targett - F. Kirby). (Earth). The Tree And The Bird In It. LP(t) (OP)	Hammard. HAM 183. 1988. 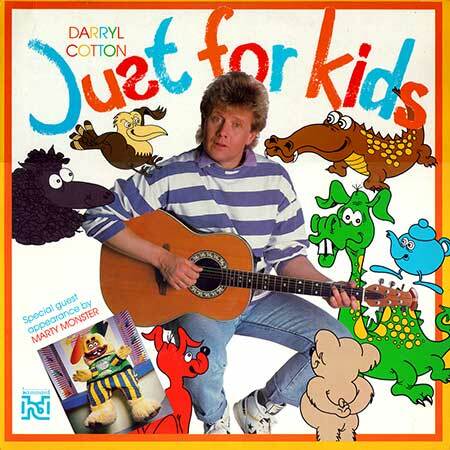 “DARRYL COTTON - JUST FOR KIDS”. Produced by Ross Burton. Engineered by Martin Pullan and Ross Cockle. Marty Monster appears courtesy of Channel 10. S1-Tk7 “Row Row Row Your Boat”. (Trad. Arr: Ross Burton). v: Darryl Cotton, Marty Monster. S1-Tk8 “Never Smile At A Crocodile”. (Jack Lawrence - Frank Churchill). v: Darryl Cotton, Marty Monster. (Ray Gilbert - Allie Wrubel). v: Darryl Cotton, Marty Monster.